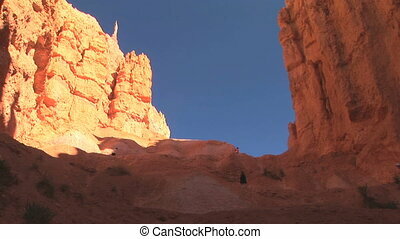 Nondescript tourists walking up navajo trail in bryce canyon national park. 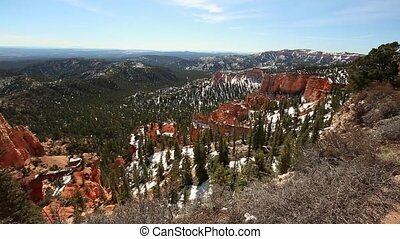 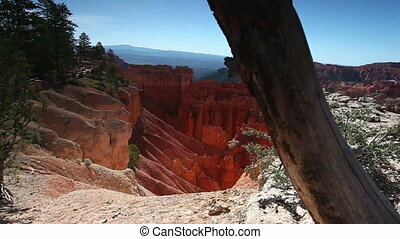 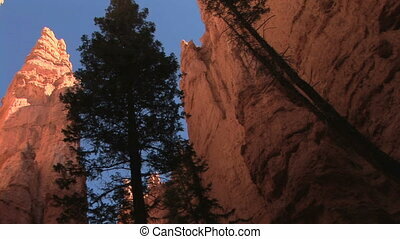 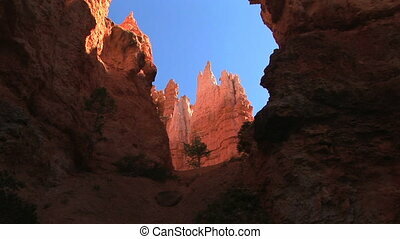 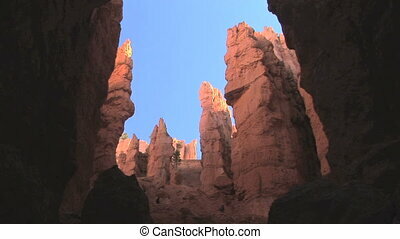 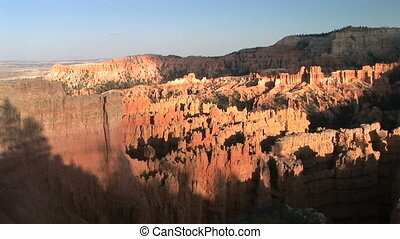 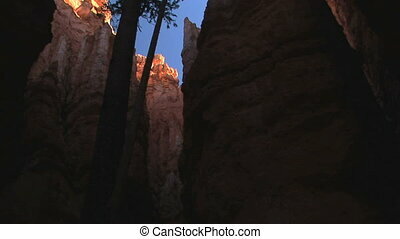 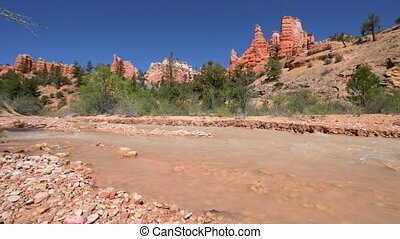 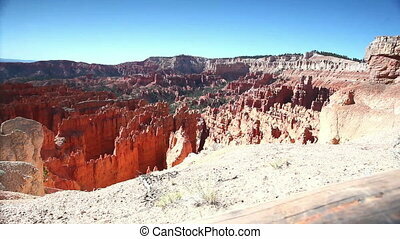 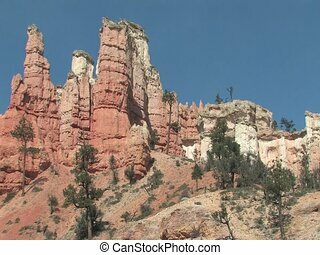 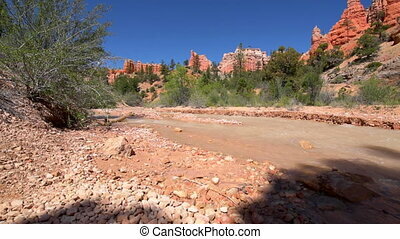 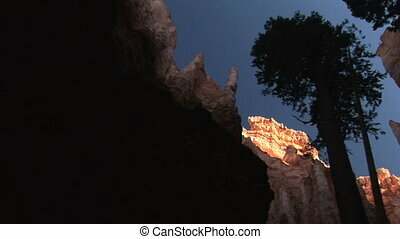 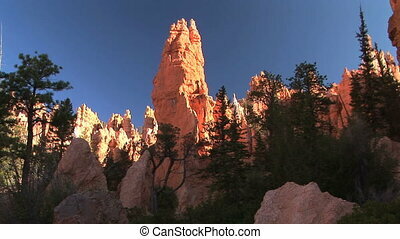 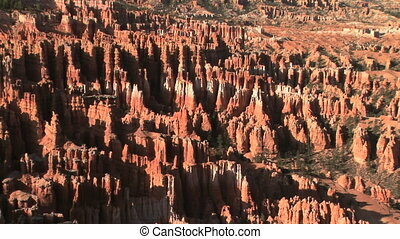 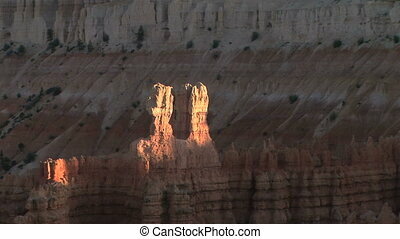 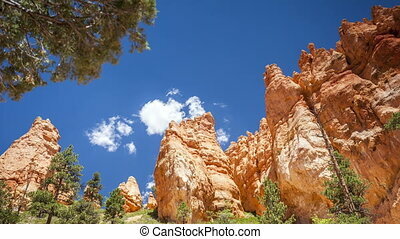 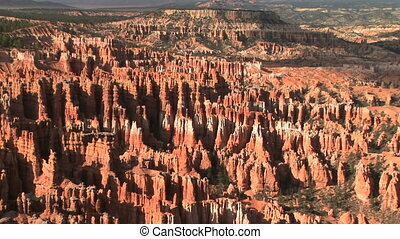 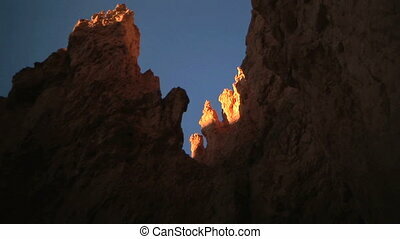 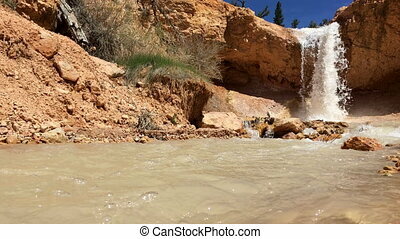 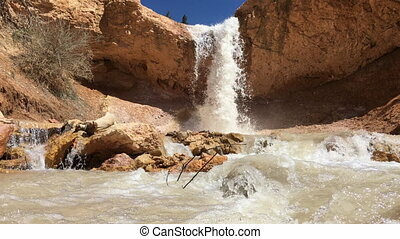 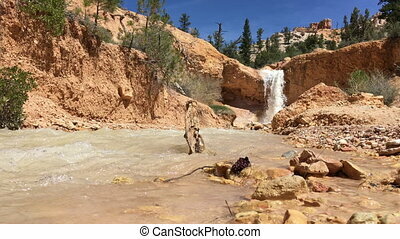 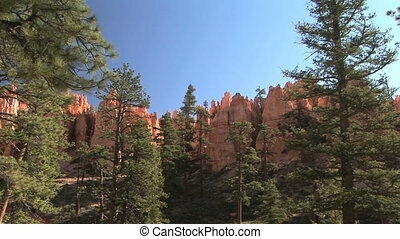 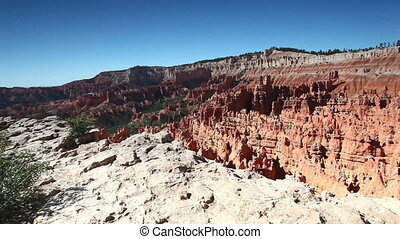 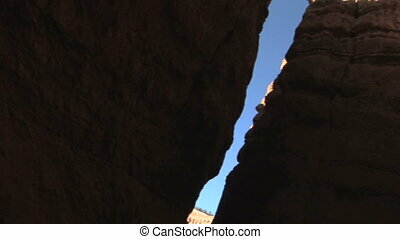 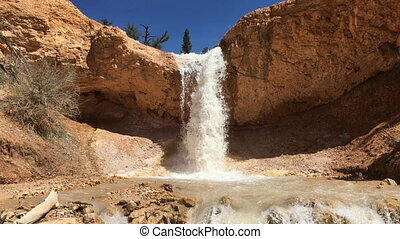 Bryce Canyon is an Limestone formation in North America. 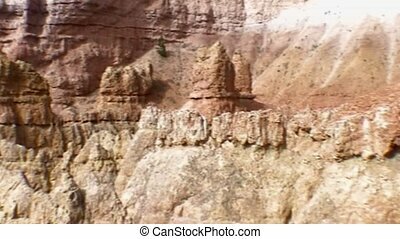 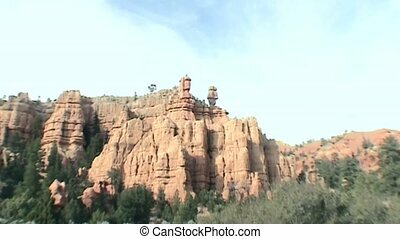 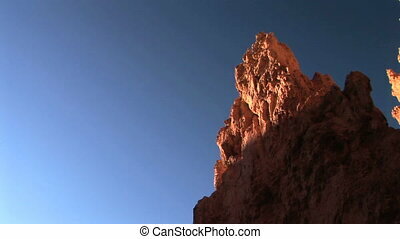 Bryce Canon is an limestone formation Color can change by sunlight.